At Crown Property Management, bringing Menifee owners and tenants together is all we do, and judging from what our customers tell us, it appears we do it well. When you retain Crown Property Management, you’ll be represented by a team of professional property managers, who know Menifee, the other properties you’ll be competing with, and the prevailing value of the entire Menifee rental market. Your property will also be featured on our website, so future tenants can tour your property with convenience. Menifee’s Successful Property Managers Are Only a Call or Click Away! We reduce the uncertainty of renting your property. We’ll interview and qualify each applicant, negotiate your lease agreement, provide routine property inspection and maintenance, handle tenant concerns and collect and distribute your rental income. Each month you’ll also receive an accounting of all income and offsets, so your year-end tax filings are quick and easy. Take advantage of our direct deposit program and we’ll electronically deposit your monthly rental income into your bank account. At Crown Property Management we make home rental easy. We also make renting a home for your tenant easy as well. Crown Property Management … bringing owners and tenants together. At Crown Property Management, we know that finding the right homes for rent in Menifee can be difficult. With so many rental houses to choose from, how do you know when you’re making the very best choice? That’s where we come in. We’re Crown Property Management and we’ve been assisting renters for years. At Crown Property Management, our goal is to make home selection and move-in as smooth as possible. 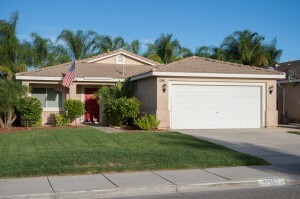 All of our available Menifee rental homes are highlighted on this website, so you can take a photo tour of all our rental houses on the web and then contact us to visit the Menifee houses which might become your future home. We also make applying for our rental homes easy. You can complete our online application and begin the first step in making a house of your choosing a home. At Crown Property Management, our goal is to take the uncertainty out of finding a great place to live. And remember, with Crown Property Management your Menifee rental homes solution is only a call or click away! Local Utilities: We know that any move, whether cross town or cross country can be stressful. Current Rentals Click here and you will find our current properties for rent in your area. Owner FAQs Click here to find answers to questions owners frequently ask about our services. Tenant FAQs Click here to find answers to questions frequently asked by tenants. Testimonials Click here to read testimonials from some of our property owners.